LDC & Co. brings a fresh approach to the wedding planning industry by keeping things simple and fun. We don't have time to deal with fluff (although it is delicious); we are more of a meat and potatoes kind of company. We are masters at helping you skip over the junk (or proverbial fluff) that doesn't matter for your big day. If planning your dream wedding has been giving you nightmares recently, there is a good chance that LDC & Co. can be your nightly dose of melatonin or Ambien. Whether you need style and design advice, vendor recommendations, help sticking to a personalized budget, or figuring out your timeline - LDC is your go to girl! 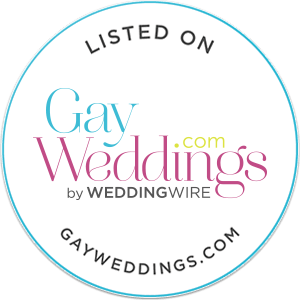 LDC & Co. provides assistance and advice on anything and everything wedding related in all of New England. We are firm believers that the only major decision a bride or groom should have to make on their special day is whether or not they want another cocktail before being primped to walk down the aisle. And the answer to that question is always YES! I'm the closest thing you'll probably ever get to a fairy godmother. But the one major difference is I come wrapped in a sparkly ribbon. Beat THAT Cinderella.